This holiday season we are having quite the time finding a good gift for our handsome gents. 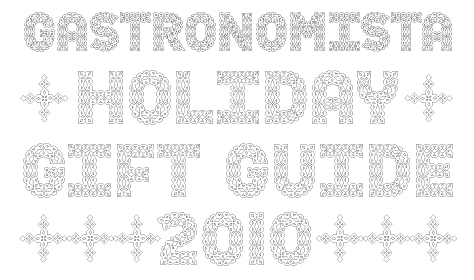 Men notoriously difficult to shop for, but we have a few tricks up our sleeves yet! What is sexier than a man who can fix anything, cook a mean steak, whip up breakfast in the morning, fix that damn broken sink, and more importantly, be able so slice up some cheese and open a bottle of wine on the fly. 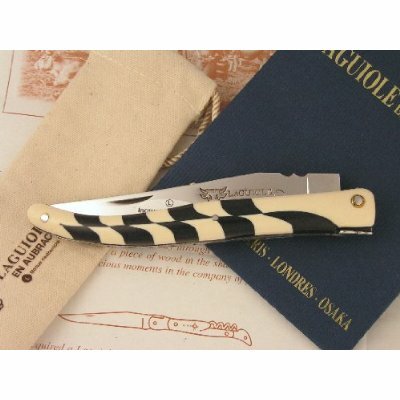 For the Gentleman of style and distinction: this Laguiole Knife made of Mammoth Ivory & Ebony is absolutely perfect for a quick snack whilst a fierce game of chess. This is quite the classy tool - goes well with top hats and spats. For the James Bond in training: The Furtivo knife made out of Carbon Fibre. This gorgeous knife is designed by Ora-Ito, and is made by Forge de Laguiole. 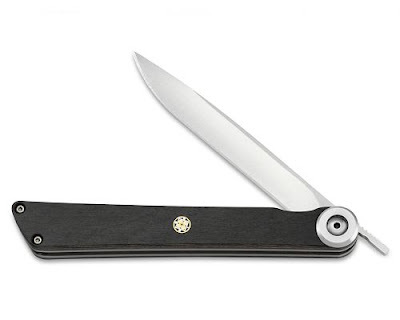 Essential when you're suddenly in a precarious situation and only your charm (and slick gadgets) can get you out of it. 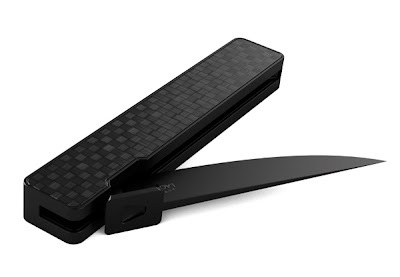 For the more modest man of distinction, the Shun Large Higo Nokami Gentleman's Knife is a classic addition to a man's wardrobe. 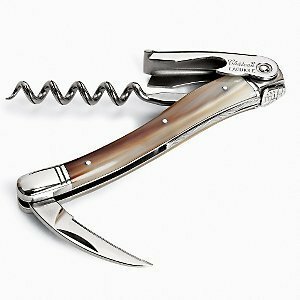 Perfect for charming the ladies in the park with cheese and bubbly, or if you a served a steak with a sub-par steak knife. For the Studying Sommelier: the Chateau Aubrac Horn Corkscrew. When your gent's showing off his curated knowledge of the grapes. 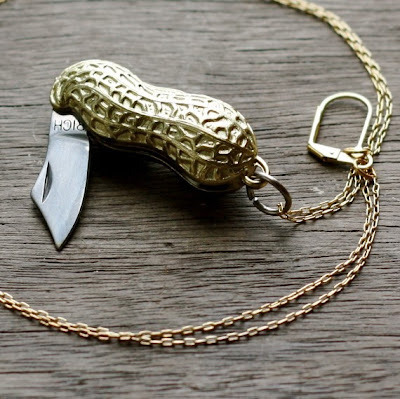 And this one for the ladies: The Peanut Pocket Knife: tool and jewelry all in one - perfection!